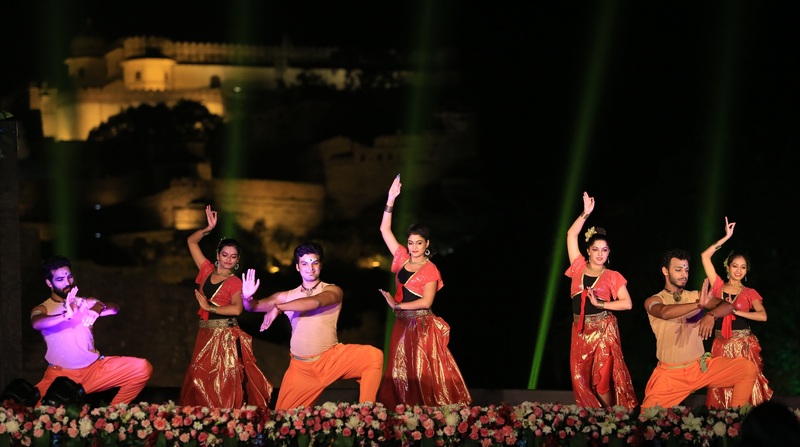 Jaipur, 3 November: The 3 day Kumbhalgarh Festival concluded with a bonanza of events today. The festival was organised by the Department of Tourism (DOT) in association with District Administration, Rajsamand at Kumbhalgarh Fort. All three days of the festival witnessed various activities and competitions like puppet corner by Lok Kala Mandal, folk dance and music by Rajasthani folk performers, art camp, turban tying competition, tug of war, etc. Apart from the activities and competitions, the Department had also planned cultural evenings to attract tourists and local populace. On the first day a sufi music and folk dance presentation was given by Chugge Khan and troupe. The second day witnessed a dance performance by NATRAJ by Sadhya, a unit of performing art. A qawwalli performance by Ehsan Bharti Ghungroowaale and troupe was rendered on the last day of the festival.